We have created a series of demonstrations to show how digital technologies are changing the way manufacturers do business. 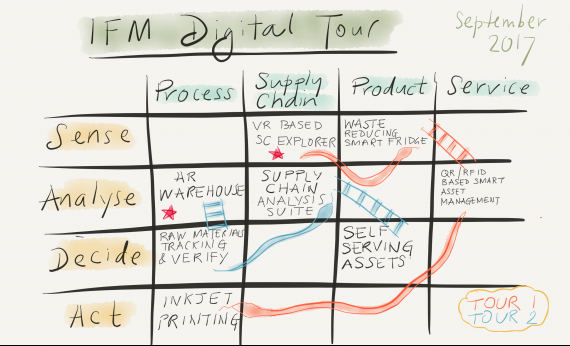 The purpose of the tour is to offer the chance to experience the latest digital research from the IfM and how it can address business challenges. We are adding to the tour all the time but we have outlined what’s currently on offer below. This demonstration highlights the research being carried out by Dr Maria Cristina Rodriguez Rivero into the parameters that affect the quality of a final product when using inkjet printing. The research aims to overcome the challenges faced by industry when using inkjet printing on 2D or 3D surfaces in later stage customisation of products. In this demo we are looking at improving predictive maintenance data availability using an Internet of Things capability platform developed at the IfM. The aim of this project is to reduce redundant maintenance and false alarms within a manufacturing system. Having increased levels of data available means that an organisation can work towards having zero downtime in their systems. Itemit, by Redbite Solutions (a spin off-company from the IfM), is a simple yet complete asset management solution that makes keeping track of critical business assets easy. Cloud-based, with iOS and Android apps, itemit uses QR and RFID asset tags to give you the asset information you need anytime, anywhere and even offline. 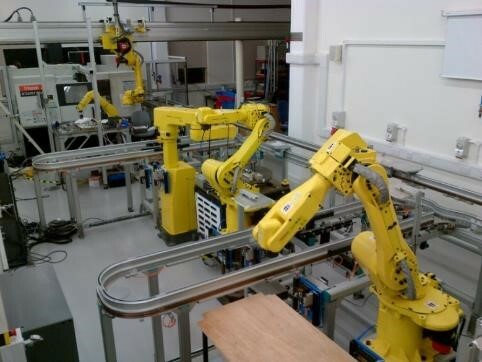 This demonstration looks at bringing automation processes, built from low-cost components, to smaller companies that otherwise may not be able to access these technologies. The benefits of using automation that is connected in an IoT environment means you can have many of these systems in multiple locations all streaming real-time data. Systems can use this data to self-optimize and learn from one another and disseminate any improvements to other systems/locations. The use of multi-user touch screens brings together different perspectives of data and visual analytics across global manufacturing networks. The platform collects and visualises a range of data, from macro-economic data, including sectors and countries, to specific industries or products, as well as individual unit operations. This data can then be analysed and adusted to help users to understand how specific interventions might affect a manufacturing network. To address the challenges faced when producing composite components, we have developed a test bed that mimics the production process. We are investigating how we can integrate tracking, sensory and quality information together to help operators and improve data analytics. This demo shows how virtual reality can be applied to look at different configurations, end effectors, and positions for robots in a manufacturing environment. Organisations considering a new product or customising an existing product can use this approach to consider how to re-build a manufacturing operation to accommodate changes in an interactive environment. The visualiser is a software tool which enables inspection of large-scale complex supply chain networks in a virtual space. By providing an immersive environment using virtual reality it helps users gain an understanding of the current state of the network and identify and plan for any disruptions. This demo shows how smart glasses can be used to enhance picking and placing operations to prevent errors. 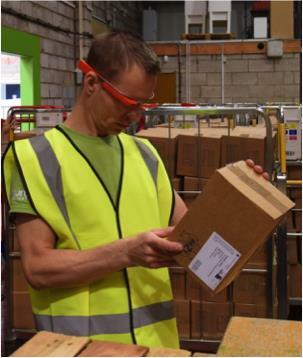 Information about where to find and place items is projected onto the glass to guide the user through the sorting operation. The demonstrator showcases a distributed manufacturing network integrated with 3D printing facilities to help companies develop an understanding of the opportunities and challenges of integrating 3D printing/additive manufacturing with conventional manufacturing. The novel distributed control architecture based on agent-based computing can help coordinate production activity across multiple sites, providing a potential pathway for integration. 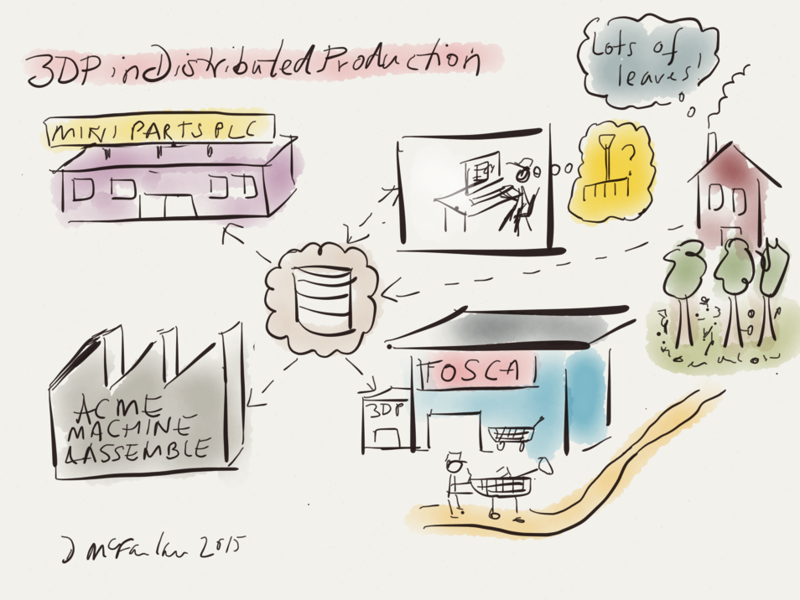 See Industry 4.0 in action with this demonstration showing how the physical product can be linked with digital information during manufacturing. By using data-driven decisions for process control, it is possible to reduce or eliminate quality problems, minimise operator error and predict the life of parts and when they are likely to fail. it just doesn't get eaten. 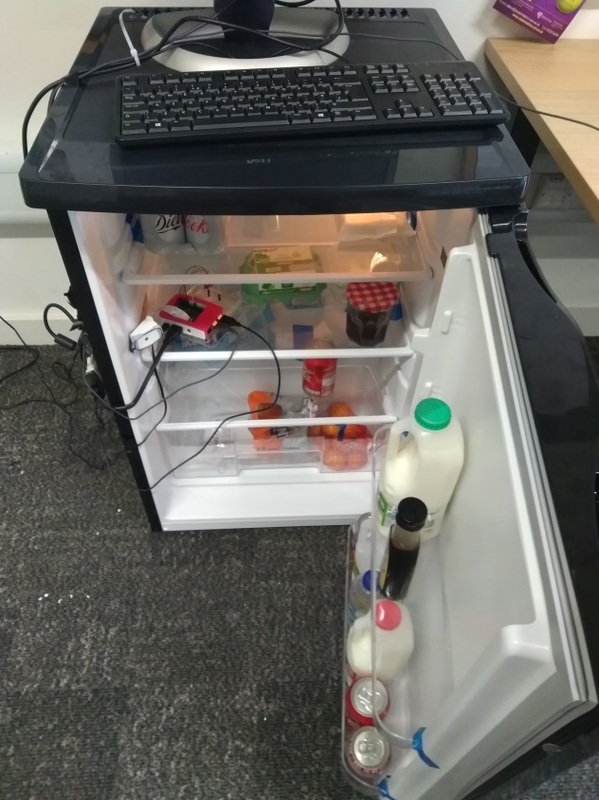 Our smart fridge demonstrator aims to reduce food waste by combining object-recognition by computer vision with an app that automatically sends the user an email tracking the contents of the fridge.